El Mac is an artistic historian in his own right, capturing the influence of his culture within his works of art. The influence of El Mac's Mexican and Chicano culture is written all throughout his creations. The use of both bright and dark colors gives him the ability to capture the true essence of the individual he is portraying. 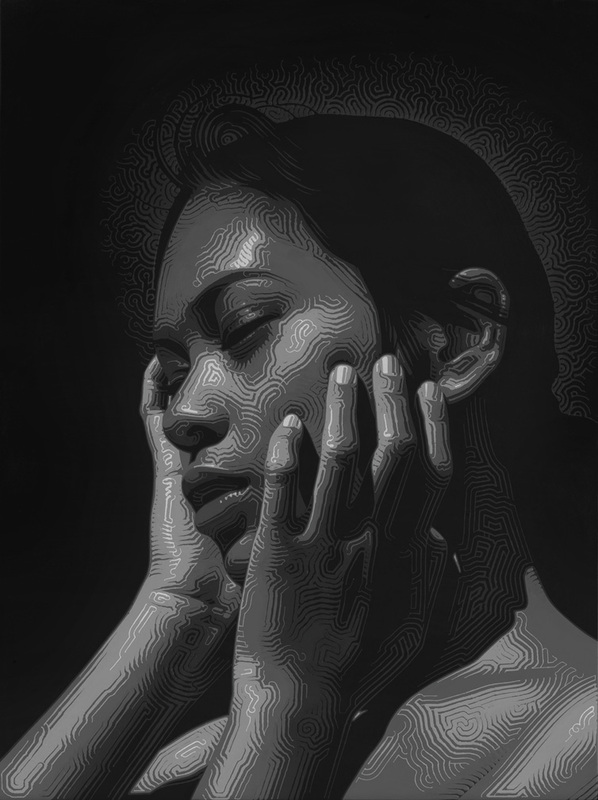 By incorporating additional methods such as acrylics and brush on canvas, he masterfully delves into his preferred technique of black and white photorealism to convey the human subject he is studying. Undeniably, the subjects of his everyday life is what El Mac turns to in his art, capturing the true essence of the individual through the candid moments he is successfully able to convey. The utilization of sepia hues along with a darker color palette gives his work a true human-like quality while also incorporating white hues to give light to certain aspects of the human face. Furthermore, precise shading by El Mac gives life to his subjects, ultimately transmitting an palpable energy through his work that is unlike no other. What makes El Mac's works so memorable is his ability to put a modern spin on the conventionality of the human portrait by incorporating his detailed line work. This brings an almost distorted, fragmented accompaniment to his creations, opening the doors for varying interpretation. The importance of street culture is evident as well, providing his audience with an open book as to what life must be like around El Mac. Nevertheless, whether it be through his magazine features, indoor works, illegal and legal works, or solo exhibitions, the translation of the life-like qualities of his human subjects on such a large-scale is remarkable. El Mac's purpose is simply extraordinary: painting a picture of the simple, beautiful world that is El Mac's life.